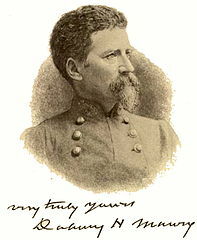 *The Southern Historical Society is a public organization founded by Confederate Major General Dabney H. Maury in 1868-1869 and documented Southern military and civilian viewpoints from the American Civil War. These were compiled into the Southern Historical Society Papers, published in the late 19th Century, comprising 52 volumes of articles written by Southern soldiers, officers, politicians, and civilians. This is a must read for anyone seriously interested in American history and what transpired and shaped a nation on those pivotal days in July 1863.